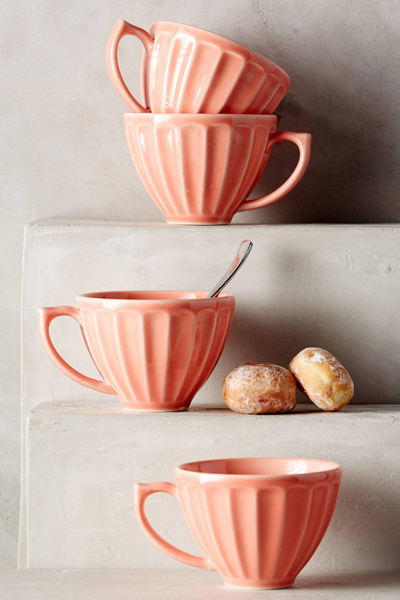 These Peach Latte Mugs will bring a smile with every sip. Made of earthenware. Dishwasher and microwave safe. Set of four. $32. Buy here.